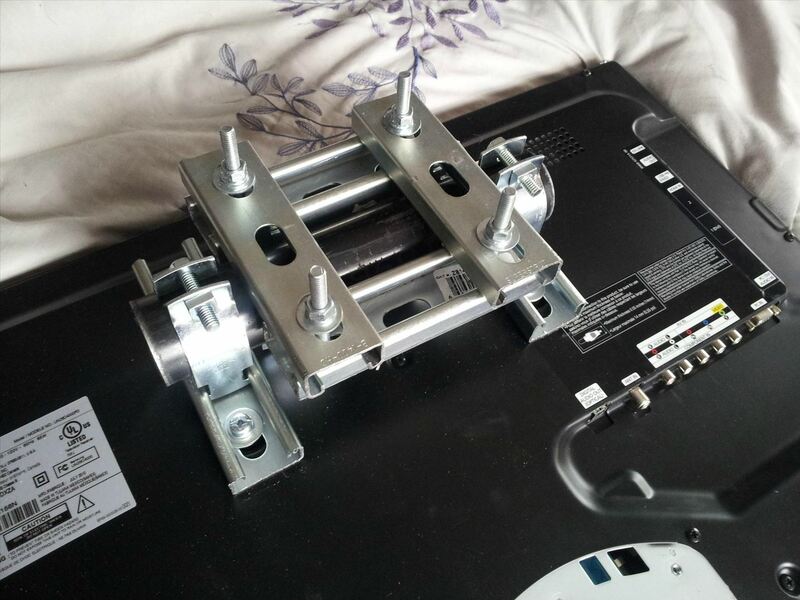 So you bought a new flat screen, and now you have to tackle the next issue—you have to mount it somewhere. Most people go for the wall, which is the most obvious place, but if you want to go for something a little different, the ceiling is always an option, too. 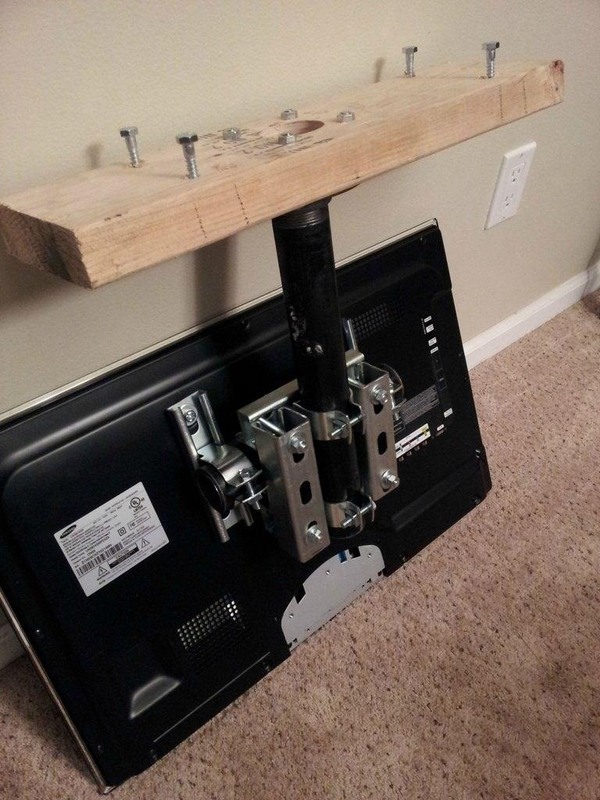 There are plenty of ceiling mounts available, but if you're the DIY type, or just want to save a little cash, this solution by Redditor old__two__thumbs might do the trick. All you need is some unistrut, a few short pieces of black pipe, and your basic bolts, washers, and nuts. 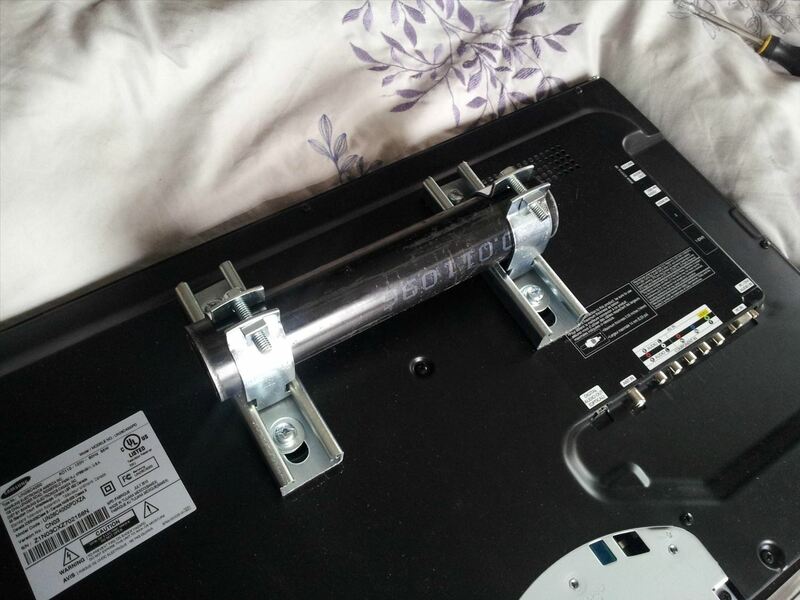 Start by screwing two pieces of unistrut onto the back of the television, then attach one of the pieces of black pipe. Two more pieces of unistrut attach to the pipe, then two more in the opposite direction on top of those. 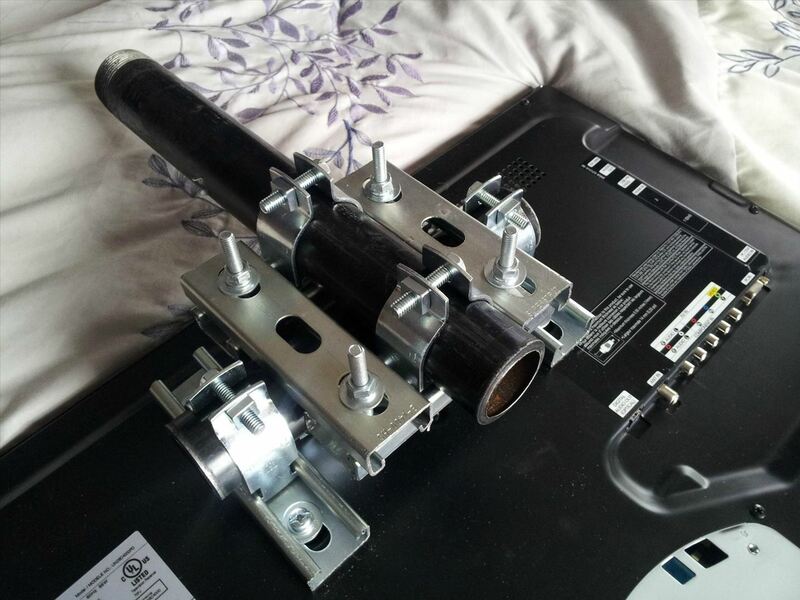 One more piece of black pipe completes the mount, which is attached to a board that lets it hang from the ceiling. 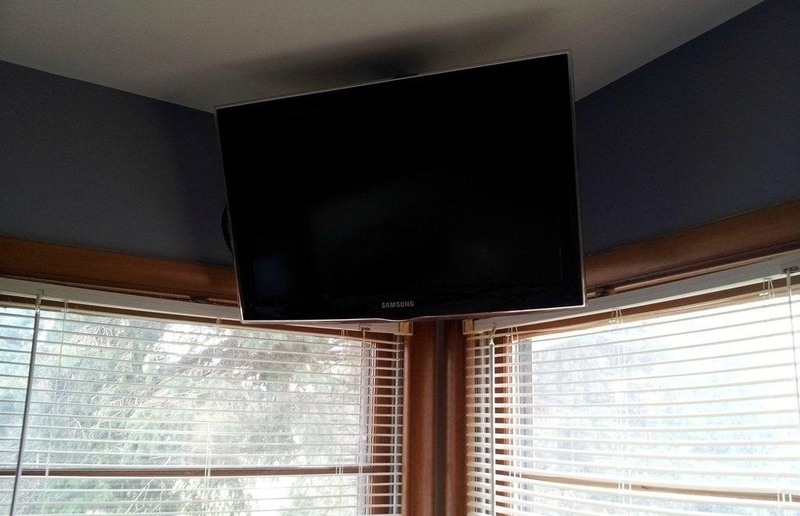 The cables are fed through the pipe, which connects to a hole in the board, to give the setup a clean look. The final result looks pretty pro, if you ask me! Check out the Imgur album for more details and photos, and the comments on the Reddit thread are a great place to look for tips and tricks.